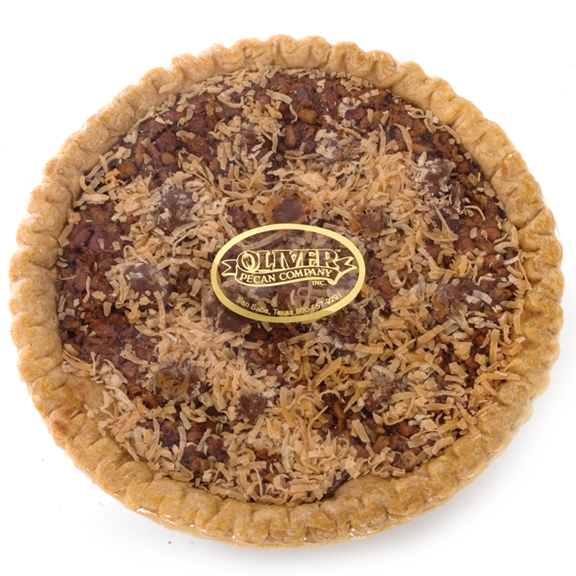 German Chocolate Pecan Pie, Pies: Oliver Pecan Co.
Our original pecan pie with chocolate and coconut. We use lots of our fresh pecans, no skimping here! Our award winning pies will be a tradition in your home also. Pure decadence.